Workplace Injuries: What Can You Claim For? Modelling agencies are companies that represent fashion models in order for the models to work for various fashion industries. There are many types of modeling agencies such as high fashion editorial, commercial model and petite model agency. High fashion agencies are located in large fashion markets such as Milan, New York, Paris and Tokyo. Examples of supermodels who come from these agencies are Karlie Kloss and Kate Moss. Commercial modelling agencies can be represented by a commercial agency or by the commercial divisions of fashion agencies or talent agencies. Commercial modelling agencies represent all types of models from plus size to petite, mature models and models of diversity. In addition, there are also male model agencies. Child model agencies are another example of modeling agencies. In most cases, child models are represented in the kids divisions of major agencies or by talent agencies. Examples of top child model agencies are New York Model Management and Wilhelmina Models. Finding the right agency for you is not an easy thing to do; however, there are a few tips that will help such as first asking yourself what type of model you would like to be. Would you like to be a fashion, commercial or runway model? Would you like to work with an international modeling agency or would you like to work locally with an agency? Another tip is to not spend too much money in the beginning. Photos that you put out in the beginning do not need to be professional. Remember, agents want to see what you look like without a “touched up” version of you. Most importantly, be yourself. Remember, casting directors and agents have seen it all. And, because you don’t know what they are looking for, don’t try to make decisions for them. Your main focus should be on your own individual style. Lastly, be sure to follow up. Agents are constantly busy and often do not follow up after an interview. After a certain amount of time, if you haven’t heard anything, reach out and thank them for meeting with you and ask for an update. When you do this, it proves to the agency that you can take criticism. This will help to sharpen your skills for what comes next. Most importantly, be prepared for the answer, “no.” Rejection is part and parcel of the modeling career. To conclude, a modeling agency is a business that represents fashion models in order for them to work for the fashion industry. Talk with a modeling agency representative soon and find out more. Australia has become the focal point of the fashion world and it shows no sign of abating. There is a lot of natural beauty in The Outback, and it has some gorgeous beaches. Even the urban architecture has its good points, as is seen in any number of movies every year. Because of this it is not that uncommon for those looking to shoot in Australia to work with local modelling agencies, as it not only saves travel expenses but also makes sure that they have some local flavor. But becoming a model is rarely as easy as just signing on with an agency; there is a little more to it than that. A good model needs to develop a thick skin backed by an ease of adaptability. Models need to be able to deal with rejection; a model can be rejected any number of reasons, most of which have nothing to do with them or their appearance. The needs of the shoot may change at the last possible moment or there may be some sort of politics involved; a model that worries about the reasons may drive herself crazy worrying about the specifics. She also needs a certain degree of adaptability to change to the needs of the market, especially given that different looks are in vogue at any given time. The two factors are required for success. A model in Australia also needs to have very defined limits on what she will and will not do, and must communicate those limits to her agency. A model needs to debate exactly what kind of career she wants to have and this means that limits may need to be placed on which kinds of shoots she will accept. Some of these issues are simply based on the skills of the model, such as surfing, swimming, and other physical activities; the model is simply limited by lack of experience and background. Others may have other issues, such as scheduling conflicts, what they will wear, or even locations; as it is a limitation it does need to be brought up. A model also needs to take some basic classes. While this can include exercise classes, especially as the model needs to be physically fit, and some basic business classes are advised as well, there are actual modelling classes that need to be looked into. A model needs to know how to pose for affect, as well as understood basic terminology relative to photography in order to succeed. Becoming a model is actually pretty simple, as long as you are willing to develop a thick skin, set limits, and take the classes, and given the need it can be a great way to pick up some extra money. Viviens in Sydney is a wonderful place to start a modeling career as there are many avenues you can follow and make it big in the modeling industry. When it comes to modeling, you want to start at the bottom and work your way up. While it is possible to make it in this industry without graduating from a modeling school it will be a huge plus to have some type of training. The first thing you want to do is find a reliable Viviens model management agency. This can be both easy and difficult depending on your approach. With so many agencies to choose from, knowing which one will help you nurture your talent can be confusing. It is important to do background checks on modeling agencies before investing your time or money. Most of them are legit and will see talent from a far while others will most likely waste your time. Avoid agencies that ask for money or force to go against your principles. Selling out in this industry means that people will always take advantage of you. You want a strong foundation when you get into modeling and settling for the wrong agent can destroy you. If an agent is interested in you but starts making requests you are not comfortable with, then it means that they noticed potential with you but want to take advantage. The same thing will be noticed by other agents, some with a good eye for talent. All you need to do is look around. There are many ways to get into modeling. Some are straightforward, while others demand unorthodox methods to travel on. For instance, it helps to know some experienced connections in the industry. If you wanted to get closer to these people, then you can try applying for odd jobs around agencies. For instance, applying for an assistant’s job or other miniscule task may bring you a step closer to agents who you can approach in time or have them notice your potential as you go about other activities around the premise. Practice makes perfect and you’ll need a lot of it before venturing into this industry. Cat walking and posing are two of the major requirements for models. The best part about practising is the fact that it can be done anywhere. Social media will also help you find out just what people feel about your photos. Invest in professional photo shoots as these will come in handy when approaching agents. These photos can also be emailed to multiple potential agencies, saving you time and money during applications. Model management agencies in Viviens are always looking for new models. The best part is that there is a demand for all kinds of models. Unlike it was the case a while back, modeling isn’t restricted to skinny women or body builders. You will now find agencies looking for plus size women, hand models and all other kinds of fields you can try. What you require most when it comes to modeling is confidence. To have confidence, you’ll need to be comfortable with the way you look. Determine what you are comfortable doing and wearing and make it work for you. Some agents will ask you to change your style which isn’t always a bad thing. You can try on different wardrobes and find something else that brings out the glam in you. The world’s best tresses do not always belong to famous celebrities. Many of the ads we see in print or in other media are photographs of hair models who may not be household names but are considered some of the most in-demand models in the business. They are hair models – professionals who work with hairstylists, photographers, and hair care manufacturers to showcase the latest hairstyles and products. Hair modeling can be an exciting and well-paying career for people who have the right stuff. Learn how to become a hair model and what to expect from this job. In general, hair models do not need prior modeling experience. Many casting agents may not even require prospective models to have a portfolio. Models, however, must have the kind of hair that is suitable to the type of treatment or style that a stylist wants to show. Most hair models are hired by stylists to show hairstyling techniques. They may also find work with cosmetology students and hair product companies to promote new hairstyles and products. Many hair models work as freelancers, although some may prefer to find work through an agency. Most paying jobs for hair models can be found in major cities where schools, stylists, and hair product companies are present. Many training programs are offered in large cities where students require the services of hair models. Even smaller cities may have cosmetology schools where student stylists hire models for demonstrations. Hair product manufacturers also require hair models for their stylists to work with. Companies such as Redkin, Vidal Sassoon, and Aveda often hire models to promote their products. Ads for jobs may be advertised or known through a modeling agent. Many models may also learn of jobs through word-of-mouth from fellow models. Some modeling jobs may be advertised and casting calls may be done. 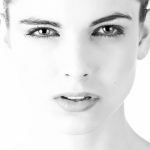 Models are not always required to bring a portfolio, although this may be helpful to show a model’s experience and versatility. A good portfolio usually includes a composite card (more popularly known as a picture resume) that shows the model’s picture, physical profile, and a description of his/her hair, such as its color, length, and texture. When you become a hair model, you can expect to be paid on a per job basis. There is no fixed salary for hair models and the estimated pay per job can range from $100 to as much as $10,000 for top models. Most hair models work only for a few hours, although some jobs may require a few days’ work at certain locations, depending on the job. Catwalking or walking like a professional model isn’t that difficult. It is an art that can be perfected with knowledge and practice. Placing the right foot in front of the left and vice-versa is just one aspect of doing a proper catwalk. In this catwalk lessons write-up, you would learn how to present yourself from head to toe to ace the walk. A good catwalk has a good deal to do with your face. While walking make sure your chin isn’t set too high. This is because the audience would be seated at a level below the ramp and holding your head up would make it difficult for the people around to see your face better. Make sure your chin is slightly tilted downward; do not droop or hang your head. This chin positioning would also lend some attitude to your face. It’s important you do not smile during the walk and close your mouth in a natural and relaxed manner. Also, do not look around while walking. Look front at all times – as if you’re keenly observing some target positioned at the end of the ramp. The goal is to look alert and attentive. You may feel a bit tempted to look at certain individuals in the audience, but that is what professional models easily resist. And you should too. Walk erect, as if some invisible string is holding you up. Good posture would positively influence your presence and help even if you’re not the tallest around. Take long strides while walking and make sure your feet land on one straight line – just like how cats walk. Such walking style is recommended only for female models. Models can get away with a wider walking stance. Don’t swing your arms while walking. Your arms must stay relaxed while hanging on the sides, exhibiting minimal to no movement. This would make you appear composed and cool as you walk. Also, your relaxed hands should be loosely cupped and marginally open. There should also be little gaps between your fingers. Once you’ve mastered the technical aspects of the walk, it’s now time to inject some character into it. Maintain a rhythm while walking – matching your steps to an imaginary beat. And stay consistent. With some attitude and rhythm, your walk would look confident and energy-infused. Striking your pose at the end of one leg of the walk and walking back with the same attitude is equally important. Remember, you must walk to kill. Wearing an attitude might seem unnatural initially as people don’t walk that way in real life, but you should get used to the grind with some practice. The child’s safety is always paramount, and it’s the most important factor of consideration when your child has been identified as a potential model for a children’s product. If the job as well as the environment is not safe, you should not even consider the modelling job regardless of how lucrative the deal might be. You cannot have you child handled by people who have not been trained to handle children. For this reason, you should only consider allowing your child to act as a model once the agency has proven that their staff have the requisite training to handle children. The staff should also be able to explain to you the legal implications for using a child model for commercial purposes. After all, you do not want to find yourself in legal problems. The reputation of the agency that wants to hire your child must be checked before you make a decision. This is because you don’t want to put your child in any kind of danger. You may want to do a little bit of research to ensure that the modelling agency has a great reputation in the industry. Be sure to read a couple of reviews and testimonials before making a decision. Just because a child is being hired for a job, it does not mean they should be paid a salary commensurate to their age. The child should be paid a fair wage for the service. There are many child models who are raking in hundreds of thousands of dollars from simple jobs, so be sure to negotiate the best deal for your child. Ideally, you should compare what other modelling agencies are paying child models to ensure you get a great deal. 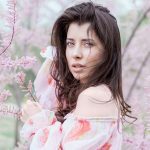 Many people outside the modelling industry have certain misconceptions about this unique business. Some people have the impression that models simply wear clothes, walk around and get paid. Clearly, this is a wrong notion because models do an important job and they should be given the recognition they deserve. In fact, models take a number of vital courses before they become professionals. Below are some of the best modelling courses for aspiring professionals. The key to success as a model is the right personality. This is why models at reputable institutions are taught personality development. This course will help you develop the right attitude so that you will succeed in this industry. Among other things, you learn the power of persistence, develop a positive attitude and imbibe the ethics of hard work and determination. This course teaches you basic posing techniques and the right cat walking skills. Apart from learning some of the tried-and-tested techniques, you are encouraged to develop your own unique cat walk and posing style. 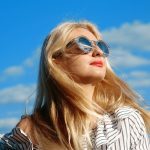 This helps you become a success in future because you have developed a style that is truly and uniquely yours. Modelling is about using your presence and charisma to market products. For this reason, the right modelling school should teach you the secrets of presence, charisma and style. 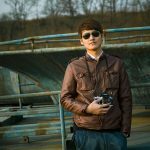 In addition, you learn photographic posing techniques. Once you have these skills, you will grow into a confident and self-assured super model. You need a great figure to succeed as a model. Now, the thing is a near-perfect figure does not happen by accident. You need to work hard to get that excellent model figure and this is why you should take courses in health, fitness and nutrition. Put the knowledge you get from this course into practice and you will get the right figure to succeed as a fashion model. Modelling is a business so you should also learn the business side of this industry. Courses like portfolio planning, record keeping and basic accounting will help you succeed as a model. In addition, you need courses like stress management, networking and agency etiquette to keep you on the track in this business. Modelling is not an all-comers affair. It is a profession with its own rules, standards and ethics. As an aspiring model, you should not settle for half-measures. You must do all that is required to succeed in this business. Take the best modelling courses you can find and you will get to the top of this wonderful profession. Modeling is not only glamorous but it is also highly lucrative especially if you make to the top. Unfortunately, the industry is extremely competitive and thus, you should not expect to start your modeling and start making money. In fact, for every successful model, there are hundreds of rejections. Nevertheless, that does not mean that you cannot make it to the top. With the right attitude and expectations, you can see your dream come true. In this article, you will find tips on how to become a model. You must look good to be a model. Therefore, even before you start sending your profile to modeling agents, you must ensure that you are healthy and good looking. Part of your daily life should be about eating healthy foods and exercising. Fitness is an important part of modeling as you will be required to attend different events in a day. You will also be spending most of your time walking or standing and thus, you must ensure that your body can withstand the rigors of modeling. It might be helpful to work with a fitness trainer. Another aspect that you should focus on is your appearance. You should make yourself look healthy and groomed by taking part in routines that support your skin and hair. Your skin should be clear and glowing and your hair should be shiny and healthy. Although anyone can be a model, it is important to understand that different types of modeling require certain specifications. You must understand your body specifications to make sure that you will only focus on the types of modeling that suit your body. Some of the modeling jobs that require certain requirements include plus-sized modeling, underwear modeling, runway modeling and print modeling. If you do not meet the height, body descriptions or the face required for traditional modeling, you can also find other model jobs that target specific body parts such as a foot model, hand model or a hair model. You can also look for situational jobs such as a trade show model, a spokesmodel, or a promotional model. There is no one who will notice you unless you make them realize that you exist. You can start by visiting a modeling agency. Most modeling agencies are always looking out for new talent and thus, you should try your luck at different agencies. You should also promote yourself by creating professional looking portfolios that you can post online. When creating your model portfolio, it is nice to use a professional photographer. A good photo can be the difference between you being hired or passed. The modeling world is not easy to venture into, as it is quite competitive. You need to make an immediate impression on a potential agency as soon as you introduce yourself. Beauty is just part of it because you also need the know-how. The following tips will help you understand how model training online can help spruce up your model skills. Perhaps one of the biggest mistakes a model makes is how they present themselves to a model agency. There are several aspects that must be considered before you walk into a model agency that you need to know. One of the simplest things to remember is that you are not there to make a fashion statement. You are not there as a designer but rather a model. You want to look as ‘green’ as possible to ensure that those who see you can imagine how you might look in many different ways. This means that you should stick with a simple blouse and slacks. Stick with colors that complement you but are not too loud. Many model trainers will usually just say to go with white blouse and black or navy blue slacks to be safe. Do not wear anything too revealing, which means forgo the miniskirts. Be sure not to wear anything that shows your cleavage either. Try to stay away from heels; you want to wear flats or short heels. You also need to make sure that your make up is minimal. The key is to highlight your natural features, like facial structure or cheekbones, but not too much. Natural make up that highlights your features is one of the lessons you will learn with a good model trainer. One of the skills that you will have to perfect is the way you smile. It has to be natural but also appealing. It is something that most model trainers will work on with you. Say, for example, that you are a bit gummy; then you need to smile in such a way that does not put a spotlight on that feature. This usually means that you may have to push your tongue against the back of your top teeth, which should elongate your smile to hide your gums. But there are other tricks that you will learn. It is important that you pay attention to your smile because it is one of the sure ways to impress a modeling agency or scout. A scout or modeling agency will decide if they like you within 30 seconds. Your smile will disarm them and make them like you a bit more. After that, you can let your resume and beauty do the rest. As you can see, there is a lot to learn about impressing an agent or scout, and model training online can help you do just that.